The name there are numerous international brand of men's perfumes in Pakistan which delivers their classier collection of pleasant fragrances in the region of Pakistan but some Pakistani brands also competing very well with these brands. 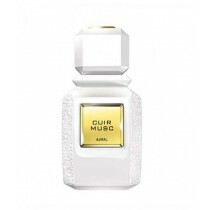 The name of Ajmal is one of those dealers of men's perfume that launch some unforgettable collection of scent which hooks its image at the high level. The range of Ajmal men's perfumes prices in Pakistan is quite impressive through which you can pick a particular one which fits with your budget. A team of Ajmal uses original ingredients for producing each scent and use the standardized techniques and method at the production process. Oudh Mubakhar by Ajmal gets a good response from the perfume conscious which has been produced by Oudh and inspire numerous peoples with the new scent. It is one of the highly demanded perfumes in Pakistan and takes the name of the brand at a remarkable level. Shaghaf Eau De, Shadow Ii Eau De Parfum, Khallab Concentrated Parfum, Ghair 2 Eau De Parfum are some famous fragrances for women also get good responses from Pakistani men. Ajmal men's perfumes prices in Pakistan is true to the originality of the ingredients through which you can pay for original fragrances and don't need to waste your money anymore on useless perfumes. The originality of Ajmal men's Perfume creates the good name of the brand beyond Pakistan even it also becomes the official partner of some reputed organizations. Even it also delivers its signature fragrances to Burj AL Arab which proves the integration of Ajmal into the list of the universally famous brand of perfumes and fragrances. Ajmal men's perfumes prices in Pakistan fits with the image of the brand and competitively impressive with respect to other brands. Ajmal men's perfumes prices in Pakistan has been set with respect to the quantity and quality through which you can pay the right amount for the right item. The quality and quantity of each product unitedly represent the good image of the brand and satisfying the huge demand of male perfume lovers of Pakistan. The name of Ajmal always inspire the perfume lovers as it brings numerous famous fragrances that can leave the remarkable impression of an individual. If you are also looking for famous and highly demanded Ajmal men's perfumes then you should explore our collection. 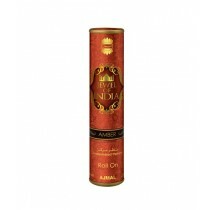 We have chunks of valuable fragrance by Ajmal at the competitive price which can become yours by placing an order. Ajmal men's perfumes prices in Pakistan is quite impressive at our online store so don't miss the striking opportunity and place an order with the help of few clicks. If you want to know anything else about the product then contact our team and get the possible answers about those queries.